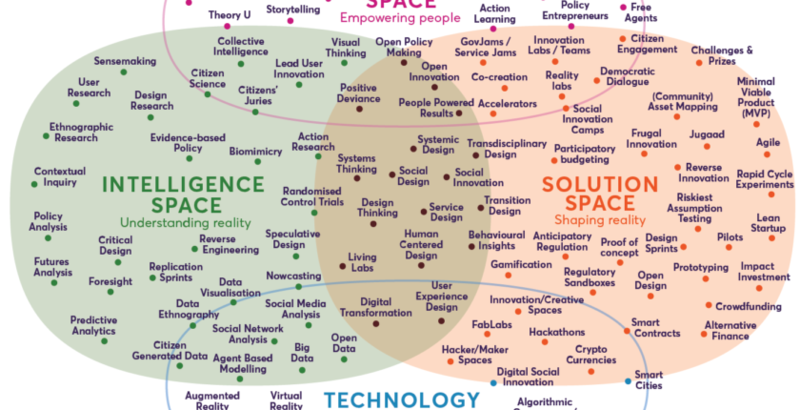 Landscape of innovation approaches V2 — click image to download PDF version. 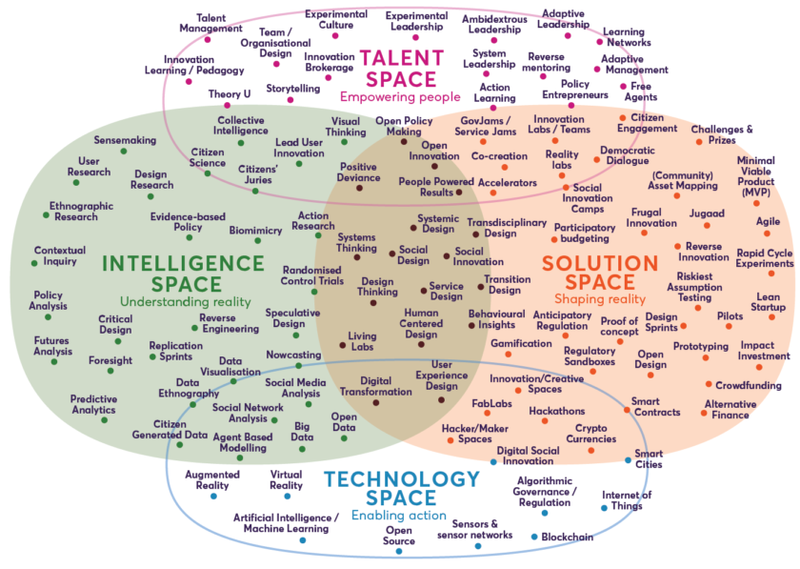 We used the same structure as the previous version and grouped methods and approaches into four categories: intelligence, solution, technology and talent. These spaces reflect the premise that in order to create change, you need to understand reality, as well as develop solutions and interventions to have an effect on it. There is no formula to how the methods are positioned within these spaces. Instead, we have tried to group methods together that are closely related. […] To provide some guidance and clarity in general, we have listed all the approaches below and added links to resources that provide a definition and introductory information. Head over to the States of Change website to start digging in to this impressively lengthy list on links.